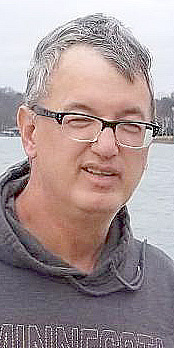 Mark T. Kaping, 59, son of Elmer and Marie Kaping, passed away Jan. 23, 2019. Mark grew up and attended school in Hutchinson. After high school, Mark attended Hennepin County Technical School. Mark was employed by Best Buy for almost 30 years. Mark resided in Minnesota and then in Arizona, where he moved to in 2001. Mark owned and operated Dance to the Music DJ service, which gave him pride and joy. Mark could name any tune in four notes or less! Mark never saw a sunrise or sunset he didn’t enjoy. Diagnosed with Lewy body dementia at the young age of 54, Mark fought a hard battle for five years. Mark’s last selfless act was donating his body to science to improve the welfare of humankind. A gift that will provide hope for future generations. The family wishes to thank Hospice of Marion County, Ocala, Florida, for its gentle, compassionate care. In lieu of flowers, please make a donation to Hospice of Marion County, the humane society or lbda.org. A celebration of life will be held in Minnesota at a later date. Mark is survived by brothers, Gary, Jon, Brian and Jeffrey; sisters, Diane, Norma, Debra and Mary Jo; and many relatives and friends. Mark was preceded in death by his parents, Elmer and Marie; and sister Susan.